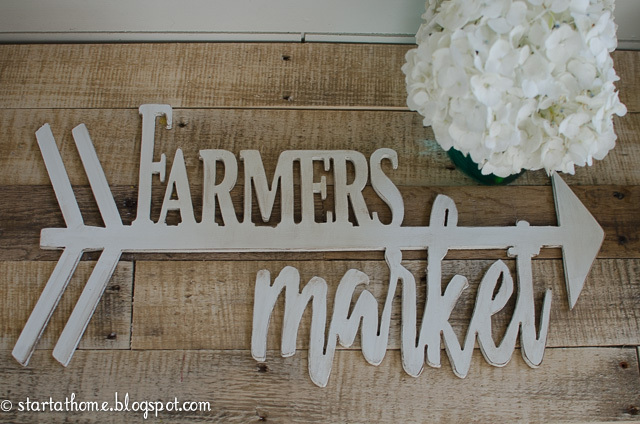 I am so excited to introduce my first custom Farmers market sign! I wanted to create a sign with options and here she is! Option 1 This sign comes complete and ready for your to use in your home as soon as it arrives. However if you are like me you probably prefer to make your own sign just the way you want it. So here is Option 2.....you can buy just the pre finished wording. 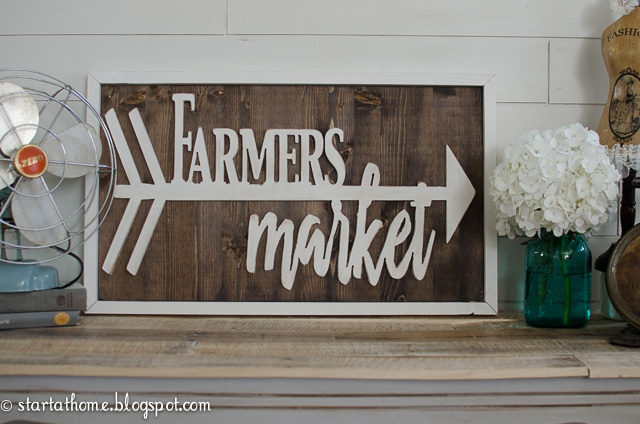 This sign will come raw and ready for you to decorate however you want. 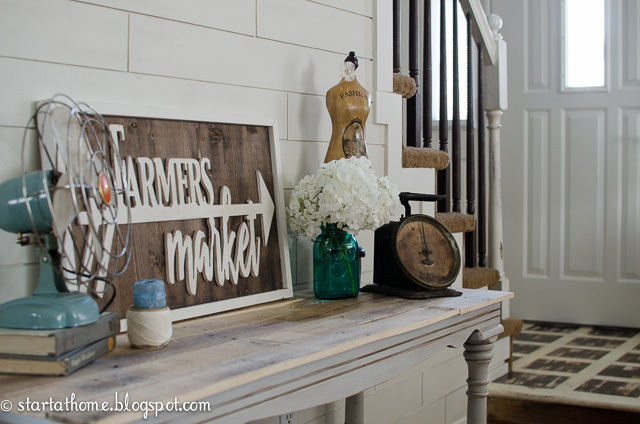 You can paint, glitter, deco podge, or antique just to your likings! The lettering is cut out of 1/4 inch thick MDF making it light weight and easy to hang on the wall or sit on a shelf. 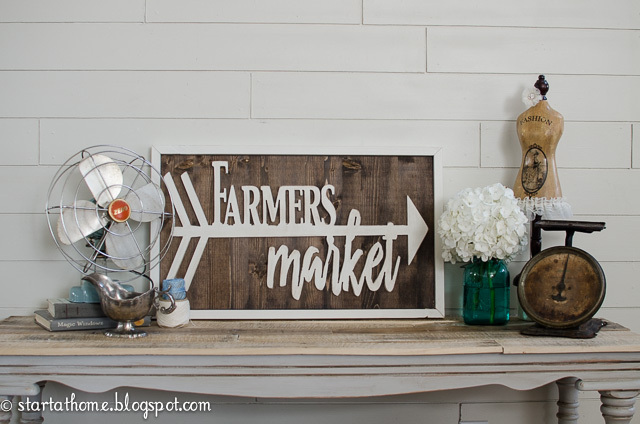 For the sign I added the lettering to 1" thick pine which I stained, and I added a cream wood frame around the outside edges to match the lettering as well as to create a finished look! Brooke, I love it!!! You are so creative!